Why Does Weight Loss Slow Down After the First Couple of Weeks? It is a fact that anyone who chooses the safe and healthy route to weight loss will experience a slowdown in results after a couple of weeks or so. While the situation is frustrating, the good news is that there are perfectly logical reasons why weight loss slows down after the first two weeks of exercising and/or dieting. This may be worrying but solutions to this predicament are very simple and easy to implement. Here, we delve into the 3 most common causes of a slowdown in the rate of weight loss as well as solutions on how to kick-start your fat burning potential. One very simple reason why weight loss normally slows down after a while is due to an increase in muscle percentage within the body. This is especially so if you are taking on weightlifting and strength training workouts as part of your weight loss plan. If you are new to muscle building exercises, you will experience a significant increase in muscle mass over the first 3 to 6 weeks of training. This however does not mean that you have stopped losing fat. If anything, you are actually losing fat and gaining muscle at the same time. But, since muscles are more dense than fat, you will appear heavier on the weight scale. A simple way of knowing if the slowdown in weight loss is because of muscle gain is to measure your waist. If your waist is growing smaller and your physique appears slimmer, you are definitely losing weight regardless of what the scale shows. Enjoy this stage of your weight loss, as your body will eventually stop building muscles and start to burn fat at a fast rate. Another reason why most people stop enjoying fast weight loss results after a couple of weeks is fluid retention. Also known as water retention, fluid retention can be triggered by a number of reasons ranging from hormonal fluctuations, to poor eating habits, to an increase in muscle mass. Regardless of the cause, water retention significantly affects weight with someone standing to gain as much as 1 to 2 pounds daily. So, while your weight loss plan continues to yield significant results, the additional pounds gained from fluid retention will cause the scale reading to show that you have only lost a little amount of fat or even gained weight. Luckily, water retention can be fixed rather easily. Simply drink enough water daily, increase magnesium, potassium, & protein intake, eat less salt, and avoid stress. These practices will stabilize your fluid levels thus causing the excess weight from water retention to melt away. This is probably the most frustrating cause of a slowdown in weight loss. Not only do you have no control over it, this is also likely to happen if you are just starting out on your weight loss journey. You can see pounds fly off fast at the beginning only for everything to come to a sudden halt, sending you into a weight loss plateau. The main cause of a weight loss plateau is a slower metabolism rate, which is the body’s own natural way of resisting change and trying to hold on to its current physical state. Getting sloppy with your weight loss plan by sneaking in high calorie foods, skipping workouts, or having cheat days can also lead to a weight loss plateau. 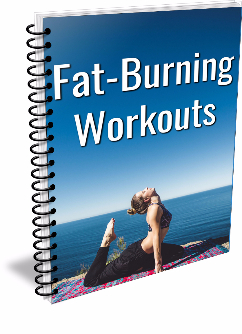 The best way to bust through a weight loss plateau and get back to losing significant amounts of fat weekly is to start burning far more energy than you consume. For this, you will need to readjust your whole weight loss plan. A good place to start would be exercising more or trying a different type of workout that targets rarely used muscles. If you are not getting in at least 2 hours of high-intensity cardio and up to 5 hours of weightlifting per week, you are far below what is recommended for safely maximizing fat loss. This therefore leaves you with plenty of room to up your workouts and get your body to burn more fat than it currently is. Additionally, you can also cut down on your calorie intake to further widen the gap between energy in and energy out.